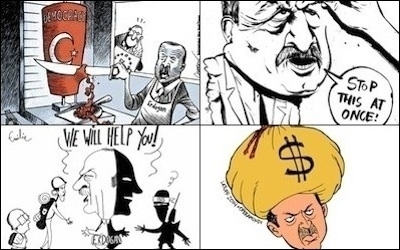 Cartoonists have summed up Turkish President Recep Tayyip Erdoğan fairly well. Should President Recep Tayyip Erdoğan's AK Party not win a majority of seats in the November 1 vote, the mainstream media hold that his power will diminish. The headline of a much-circulated Reuters analysis sums up this view: "Erdoğan seen with little choice but to share power after Turkish vote." Agence France-Presse predicts that winning less than half the seats "would again force [the AKP] to share power or call yet another election." Almost identically, Middle East Online sees this situation forcing the AKP "to share power or organise yet another election." And so on, almost invariably including the words "share power." If the results are not close, Erdoğan can sideline the parliament, the prime minister, the other ministers, and the whole damn government. 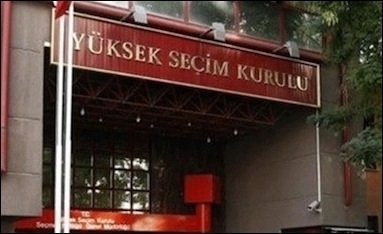 Will the Supreme Election Board (Yüksek Seçim Kurulu) be forced to rig the election on November 1? This sidelining option, which the press ignores as a possibility, follows directly from Erdoğan's past actions. Since he left the prime ministry in August 2014 to become Turkey's president, he has diminished his old office, depriving it of nearly all authority. He turned it over to a professorial foreign-policy theorist with no political base, Ahmet Davutoğlu, and controls him so tightly that Davutoğlu cannot even decide on his own aides (who also double as Erdoğan's informants). 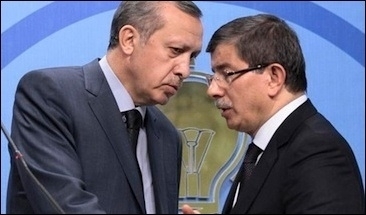 President Erdoğan (left) gives Prime Minister Davutoğlu his marching orders.